Bi Gan, the name of a 27-year old director who lives in China's remote Guizhou Province, meant nothing at all to film audiences in his home country about a week ago, but now his name is seen as representing a new hope for the over commercialized domestic film market. All this because of one film - Kaili Blues, Bi's second feature and an art film that has won several awards at home and abroad. Kicking off its 10-day run in the Chinese mainland July 15, Kaili Blues has been showing on only 1 percent of screens nationwide. Yet the film, which earned a box office of 4.49 million yuan ($670,000) after its first weekend, has been getting rave recommendations from celebrities within the industry, as well as a large amount of media coverage. Focusing on a middle-aged man named Chen Sheng who lives in a small town known as Kaili in Southwest China's Guizhou Province, Kaili Blues follows Chen on the road to self-discovery after he is released from prison. What makes the film so different from other works is that it does not follow events sequentially, but rather jumps around from the past, present and future as the story unfolds. It also blurs the line between reality and the imaginary, while using verses written by himself to explore the main character's psychology. The movie is all the talk in film circles. Numerous analyses from film critics and ordinary moviegoers can be found on the Internet breaking down the art film's cinematography and imagery and comparing Bi to other veteran film directors. Though decoding Kaili Blues has become a popular "game" online, there are still many who find the film just too hard to understand. Movie reviewer Bangshang Youming Mao wrote on media review site Douban, "After 110 minutes had passed and the film ended, I felt lost… what was the film trying to say? I can't even think of any questions to ask the director." While Chinese art films are often neglected at home, they have been well received overseas, especially in Europe. For decades these art films, both from well-known directors and rising young talents, have shone at various European film festivals. Besides works from the 1980s and 1990s, such as Red Sorghum (1987) and Raise the Red Lantern (1991), which served as windows into Chinese society during a time when the nation was still relatively closed off from the world, recent years have seen Chinese art films receive numerous awards and attention in Europe. This attention has been so great that many Chinese art films choose to premiere overseas at various festivals to build good reputations, so they may better compete against commercial films at home. 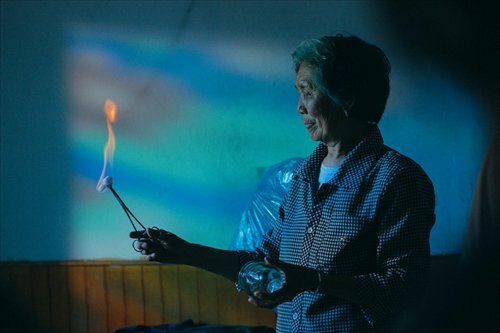 Kaili Blues, for example, grabbed a Best Emerging Director Award and a Special Mention for First Feature Award at the Locarno International Film Festival in Switzerland, as well as the Golden Montgolfier at the Festival of the Three Continents in France a year ago. "Though different film festivals have their own preferences, on the whole they want to see unique aesthetics and different narrative techniques from Chinese art films as well as works of other places," Li Ruijun, a young art film director from the mainland known for works The Old Donkey and River Road, told the Global Times. Su Mu, a professor at the Beijing Film Academy said that what charms overseas audiences so much is that Chinese art films show the reality of what is happening in China, especially when it comes to rural areas. "What we see in commercial films is often fake. They may take place in a small town, but all thoughts and behaviors on display are very urban," he said. Giving the film a high 9/10 grade, Su highly praised Kaili Blues by calling it "the best Chinese film of the year." "It is a crude production but one that expresses the essence of film - showing real life," Su commented, adding that the way the film presents its story is rare among its peers. While the domestic commercial film market has been growing fast in recent years, another trend has seen art films gaining more and more traction with audiences. 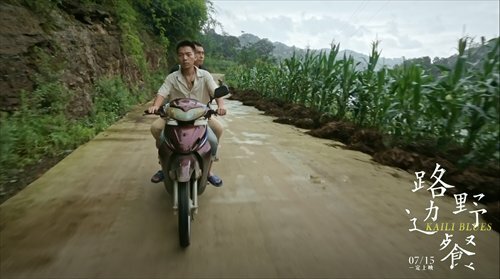 From Song of the Phoenix, which hit theaters earlier this year, to Kaili Blues, even though the box office earned by art films doesn't even come close to commercial films, the discussions these niche projects have sparked is proof that there are plenty of film lovers in China that long for such films. "In fact, the box offices of [commercial films] have decreased recently, which means people are getting bored of them," Su said. "It's like after a long time drinking soda, people now want some tea."